A rough draft sketch of my Swamp Thing. Who here loves mythical creatures? Like dragons, unicorns, mermaids, and such? I love this type of thing. Sure, archaeologists have proven that what we thought were dragon skeletons are just a mix-and-match collection of dinosaur bones. But I still love the idea of a fire-breathing reptile roaming the skies! For now, I will just have to accept the believed dinosaur descendants (also known as birds) are dragons. Anyways, I got distracted one day while scheduling out my day in my planner. I doodled this little Sea Monster/Swamp Thing all over my Monday plans. It was so cute and adorable that I wanted to bring it to life. 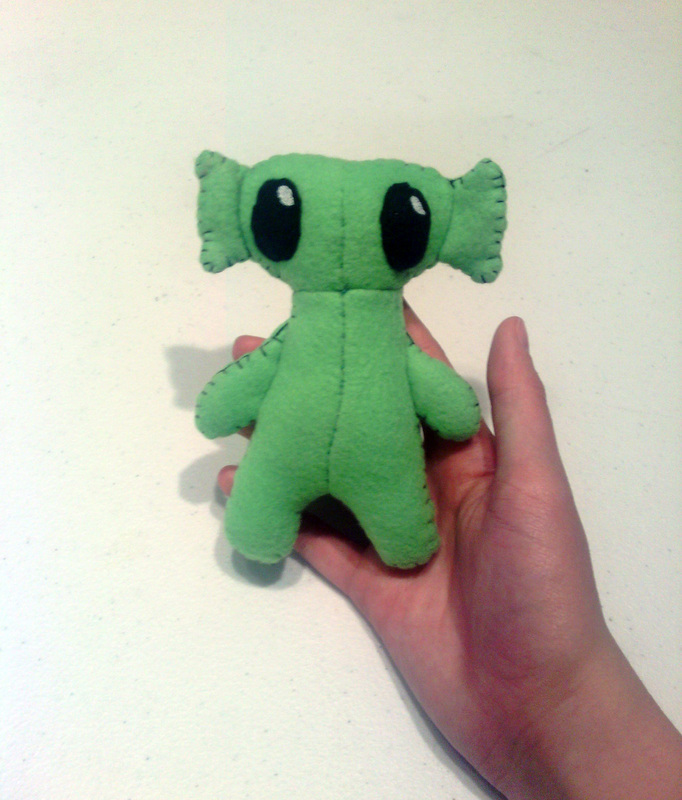 After a few days of thinking about it, I finally started on my little creature. I still have some work to do on the template to make it as adorable as my sketch. All-in-all, I like this end product so much better than my first try with the dragon. I love dragons! (I’m currently relating all the polishes I’m creating back to dragons!) Not so into unicorns but.. That is pretty cute! Why did you make him green? I think my instinct would be for blue. Just curious! Ohhh, I’ll have to check your polishes out. I’ve been wanting to start getting back into painting my nails.